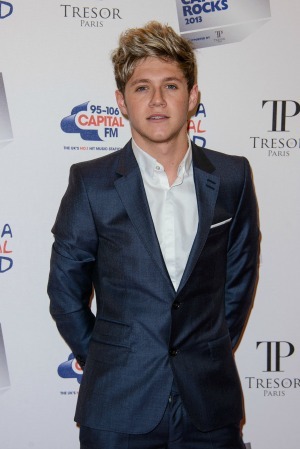 Is 1D star Niall Horan getting serious about Barbara Palvin? One Direction fans, look away now! Things may be heating up between Niall Horan and his girlfriend Barbara Palvin. When you are in a band as successful as One Direction, it can be tricky to find enough time to spend with a girlfriend or work at developing a new romance. However, Niall Horan doesn’t seem to be having that problem with his latest flame Barbara Palvin. The “Story of My Life” hit maker has been linked to the beautiful Hungarian model since they were spotted at the Everyman cinema in Belsize Park, North London, watching The Hunger Games: Catching Fire. Apparently, things are now starting to get so serious with the pair that the Irish heartthrob may even be taking his lady to meet his parents. Harry Styles was once known as the One Direction charmer, but it appears his fellow band member may be taking over that role. Horan has been romantically linked to many beauties as of late, including singer Ellie Goulding and British reality TV star Louise Thompson. However, neither of those women appeared to get very close to the “Best Song Ever” singer. On the other hand, Victoria’s Secret beauty Palvin has been spotted with the star on several occasions during the past few months. Palvin even joined the other girlfriends of One Direction members backstage at the finale of The X Factor USA in Los Angeles, California, in December when the band performed. What do you think? Will this new romance last?